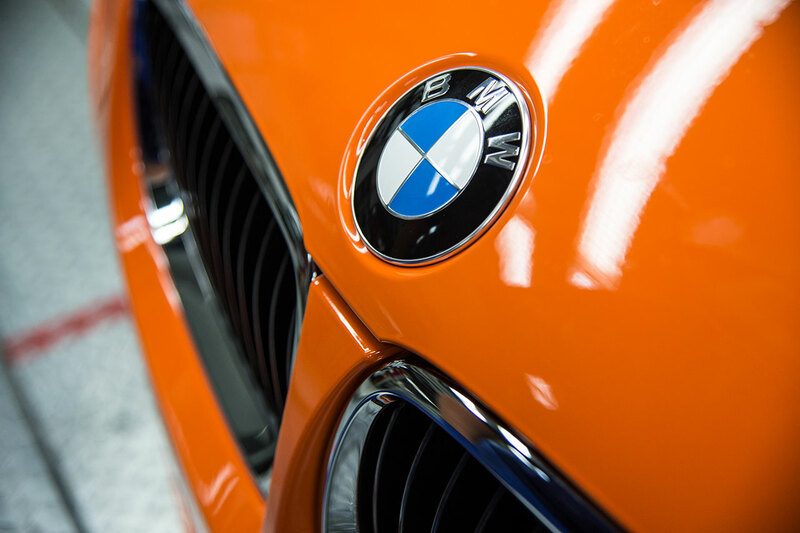 Luxury Cars and Watches - Boxfox1: The BMW M3 Coupe reaches the end of its production run – but its racing career continues at pace. The BMW M3 Coupe reaches the end of its production run – but its racing career continues at pace. Fresh from a clean sweep of German Touring Car Masters (DTM) titles in 2012, the BMW M3 has continued to power from one victory to the next again this season. And the race-spec car is sure to be involved in a good deal more exciting action before the season concludes this autumn. 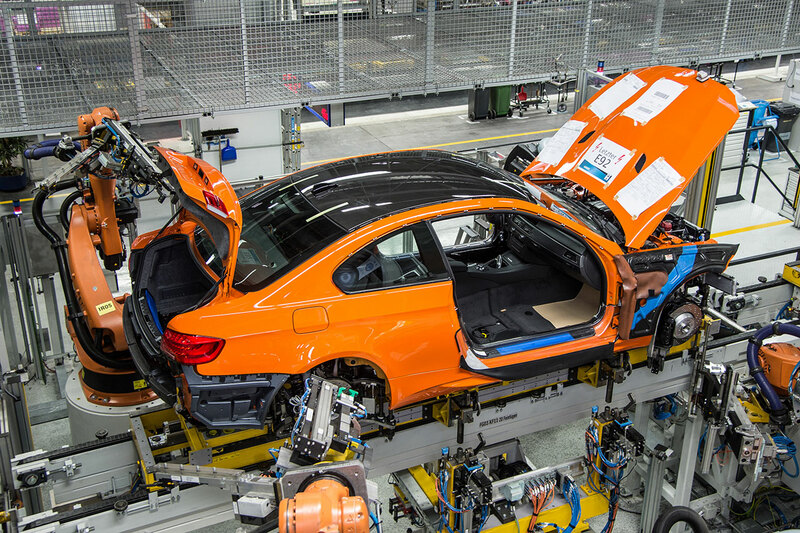 The series-produced model, however, is already on the finishing straight as BMW M GmbH announces the end of production for the fourth generation of the BMW M3 Coupe. The high-performance sports car which spawned the championship-winning DTM racer is set to end its career on the road with more than 40,000 examples having left the factory. Indeed, the BMW M3 Coupe will be drawing a line under an extraordinary run on the world’s car markets. The BMW M3 Convertible, likewise powered by a high-revving V8 engine, will continue in production until September 2013. The BMW M3 has epitomised the direct transfer of racing expertise to the road since 1986. And the latest generation of the high-performance sports car succeeded in adding another sprinkling of fascinating new chapters to its model history – from innovative technology yielding even more intense driving pleasure to BMW’s highly successful comeback in the DTM. With its athletic design, an overall package pieced together with hallmark M precision, and top-class performance capability, the BMW M3 enjoyed immense popularity around the world. Production of the BMW M3 Coupe – launched in 2007 – exceeded 40,000 units, and the BMW M3 Sedan added almost 10,000 units to the total. Just under 16,000 units of the BMW M3 Convertible have been built to date. The most important shared feature of the three body variants is their powertrain and chassis technology, derived directly from motor sport. The 4.0-litre V8 engine, developed exclusively for the BMW M3, has cylinder banks positioned at a 90-degree angle to one another. It develops maximum output of 309 kW/420 hp, generates peak torque of 400 Newton metres (295 lb-ft) and revs to a maximum 8,400 rpm. Like the engine’s high-revving character, numerous construction details, such as the electronically controlled individual throttle butterflies, ion current knock control and dynamically optimised oil supply, were taken straight from motor racing. Alongside its instantaneous responsiveness, the colossal power delivery of the naturally aspirated engine – maintained at a constant level into the upper reaches of the rev range – is its defining feature. The BMW M3’s engine won the 3.0 to 4.0-litre class of the International Engine of the Year Award five times in succession. The transfer of technology from race track to road also shapes the character of the car’s other powertrain and chassis components. A lightweight chassis developed specifically for the M3 – complete with a front axle secured to the body by an aluminium stiffening plate and a five-link rear axle with hollow-tube anti-roll bar and forged aluminium axle control arms – teams up with a rack-and-pinion steering system with M-specific Servotronic and the variable M differential lock to provide precisely controlled transfer of power to the road in any situation. The BMW M3 was fitted as standard with a high-performance compound braking system and could also be specified as an option with the three-mode Electronic Damper Control system. Another impressively innovative option introduced for the fourth-generation BMW M3 was M DCT Drivelogic. The first double-clutch transmission for series-produced vehicles to be set up specifically to suit the performance characteristics of a high-revving engine opens the door to extraordinarily dynamic acceleration with no interruption in the flow of power. BMW Group towards the industrial manufacture of carbon body components. 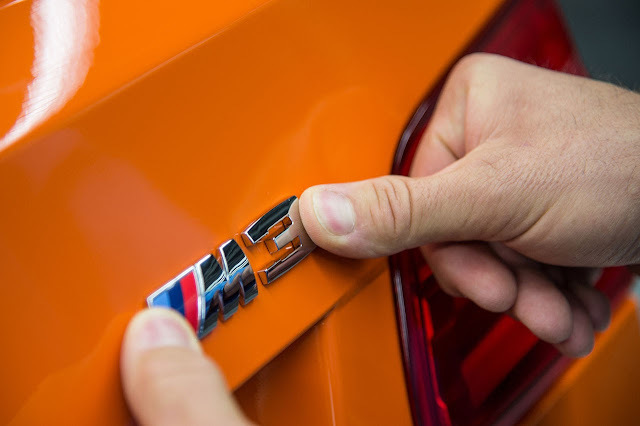 During the six years or so of BMW M3 production, the USA, Great Britain and Germany grew into its most important sales markets. In 2010 the Coupe also became a work of art when US artist Jeff Koons transformed the BMW M3 GT2 endurance racer into the 17th member of the BMW Art Car series. Koons’ creation was unveiled in early June 2010 at the Centre Pompidou in Paris, before lining up in the Le Mans 24-hour race two weeks later. The BMW M3 GT2 added another rash of victories to the BMW M3’s exceptional record of success, including five titles in the American Le Mans series and victory in the Nürburgring 24-hour race. 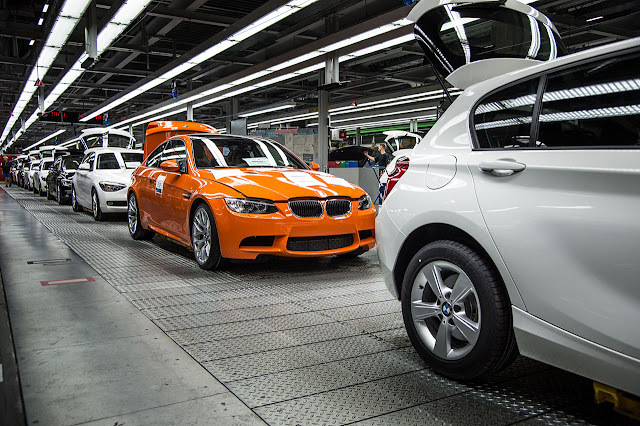 The fourth-generation BMW M3 was produced at the BMW plant in Regensburg alongside the BMW 3 Series Sedan, Coupe and Convertible. 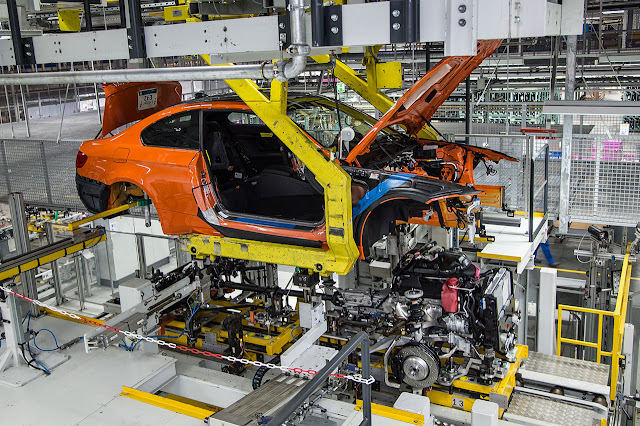 Its V8 engine was supplied by the BMW engine factory in Munich, where specific production processes on the special engine assembly line ensured the high-performance unit would be marked by excellent quality and reliability. Among the highlights of the BMW M3’s production run were the exclusive small-series variants of the car introduced over its lifetime, which brought its race-inspired characteristics even further to the fore. The BMW M3 GTS, for example, was developed as a road-legal clubsport-oriented model. The displacement of its V8 engine was increased to 4.4 litres, enabling maximum output of 331 kW/450 hp. Bespoke chassis components and aerodynamic measures, plus a two-seat cockpit designed for racing use, prepared this exclusive special-edition model for competitive race action on the track and ensured it offered a super-intense M experience on the road. 135 examples of the BMW M3 GTS were delivered to customers. The BMW M3 CRT (Carbon Racing Technology) joined the fray in 2011 in a limited run of 67 units. Based on the BMW M3 Sedan and built at the BMW M GmbH factory, the BMW M3 CRT boasted exclusively manufactured lightweight components, a 331 kW/450 hp version of the V8 engine and modified chassis technology – all of which was a recipe for exceptionally precise handling balance. An innovative carbon-fibre-reinforced plastic (CFRP) manufacturing process was employed in the construction of the BMW M3 CRT. Its bonnet was made from two CFRP mouldings encasing an aramid honeycomb structure. This construction gave the bonnet the strength of a conventional steel equivalent, but at roughly a quarter of its weight. The bucket seats of the BMW M3 CRT were made from two CFRP layers wrapped around a recycled-paper honeycomb, and a carbon layer made using conventional production technology was added to visible areas. A rear spoiler and an air-channelling element integrated into the front apron (both made from CFRP) rounded off the exclusive lightweight elements found on the BMW M3 CRT. BMW M GmbH celebrated the triple success of BMW’s DTM comeback – the drivers’, team and manufacturers’ titles were all won with the BMW M3 – with a limited-run special-edition model: 54 examples of the BMW M3 DTM Champion Edition would leave the factory, one for each DTM race victory notched up by BMW between 1987 and 2012.